CUSTOM TEAM PATCHES: How to instantly boost team morale or esprite de corps with a team template patch! Create your own one of a kind original team patch quickly and easily with OMLpatches.com's original Custom Team Patches. 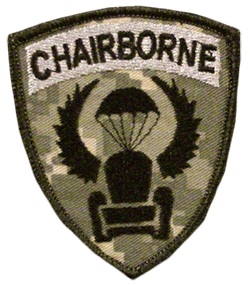 Custom team patches are a great morale patch solution for any sized team, and now it possible for any team to have patches - no extra fees, no set up fees and no minimums to order.. Boost team morale instantly and build esprit de corps with custom team template velcro patches. We provide the basic template, you provide the lettering and customization, with no minimums to order Your team will thank you! CUSTOM NAMETAPES ARE MADE TO THE EXACT SIZE YOU NEED! GET THE PERFECT SIZE FOR ANY TACTICAL GEAR. We are famous for our custom nametapes, because we make them in any size that you need. You can get the regular 5'er and 6'er nametapes or any size from 3inch to 6 inch - in two different styles. A regular nametape has the edges folded under and a merrowed nametape has the edges merrowed, (same as regular patches). We have custom embroidered nametapes that will fit any tactical gear! CUSTOM EMBROIDERED BATTLEPATCHES. 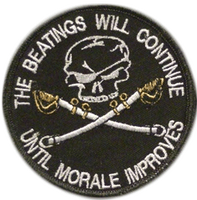 Custom battle patches come in many different sizes from 2x3, standard 2x4 and now 2.5 x 3.75 inches. 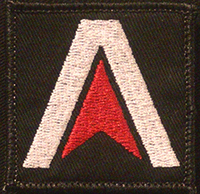 Battlepatches can be customized with large amounts of personal information, cool icons with no extra fees. 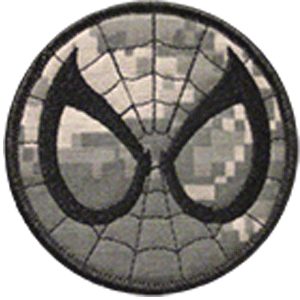 OMLpatches.com is THE PLACE FOR FUNNY CUSTOM VELCRO PATCHES and Military style patches. 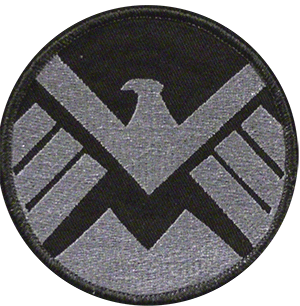 You can find some of the best morale patches all backed with velcro for easy removal from your tactical gear.. Get the highest professional quality custom patches, made to order and made to last.